I found this freebie on the subrosa blog and stitched it for a Halloween blog where members stitch a themed Halloween ornament each month. This month's theme obviously is "witch". 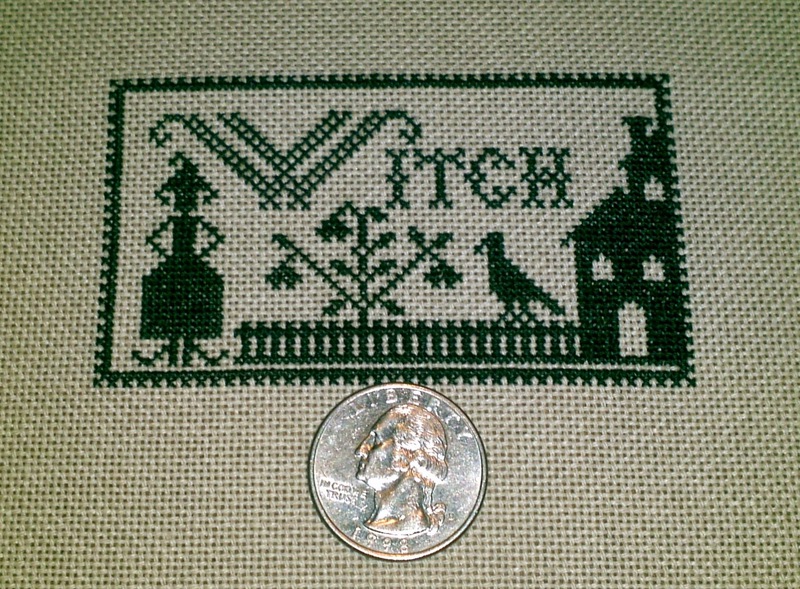 It was a little big for an ornament stitched over 2 on my (go-to) 32 count so I stitched it over one on 25 count.